Early Childhood and Neuroscience is a practical guide to understanding the complex and challenging subject of neuroscience and its use (and misapplication) in early childhood policy and practice. The author begins by introducing the definition and history of neuroscience. The reader is then led through structured chapters discussing questions such as: Why should practitioners know about neuroscience? How can neuroscience help practitioners better provide for babies and children? and Is it relevant? Topics covered include the nature vs. nurture debate through the lens of neuroscience, epigenetics, the first 1001 days and a discussion on just how critical the first three years of life are to healthy brain development. The book provides a balanced overview of the debates by weaving discussion on the opportunities of using neuroscience in early childhood practice with examination of the limitations and ethical implications throughout the chapters. This enables students to inform their own opinions about the discipline and its use in their future practice. 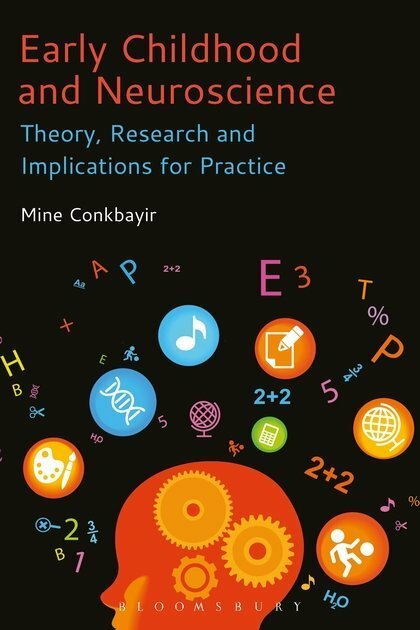 Clear explanations of the main terms and theories are complemented with illustrative case studies of cutting-edge research from around the world, a glossary of key terms and suggestions for further reading. Reflective discussion questions give students the chance to apply their theoretical knowledge to real-world contexts. These features encourage and support independent critical thinking, helping students to reflect on, evaluate and analyse a range of ideas, research findings and applications for their own future early childhood practice. Early Childhood and Neuroscience is essential reading for lecturers, undergraduate and postgraduate students in the field as well as for the new practitioner. Why Should Early Childhood Practitioners Know About Neuroscience? Emotional Well-being: How Can We Help to Build Healthy Brains? Children’s Language and Communication Development: What Can Neuroscience Tell Us? Beyond Nature Versus Nurture: Is Neuroscience Relevant to the Debate? Conclusions and Recommendations: Where Do We Go From Here? Your book is so wonderful and a real landmark – one day it will be viewed as a seminal text book. This book is a valuable addition to the academic study of Early Childhood and early years practice. The author engages the reader in a journey to support how a critical understanding of neuroscience is vital in our work. This book offers a new perspective on the developing child and links to new and traditional theories of child development. It shines a much needed spotlight on development of our very youngest children, including what happens in the womb. The combination of theory and practice makes this a very accessible and relevant book for Early Childhood students and practitioners.